Now that Rupert Murdoch's sons James and Lachlan are taking charge of 21st Century Fox, one of their greatest challenges will be Fox News. Or, more, specifically: Roger Ailes. The cable news channel is one of 21st Century Fox's biggest moneymakers, and Ailes is the man widely credited with making it that way. Ailes, the Republican political strategist turned Fox News chairman and CEO, has enjoyed a huge amount of autonomy and political power over the years. He has been called the most powerful man in television news. But suddenly the landscape has shifted. On Tuesday, moments after announcing the succession plan, 21st Century Fox publicly contradicted Ailes' claim that he would continue to report to the elder Murdoch even after the sons take over. 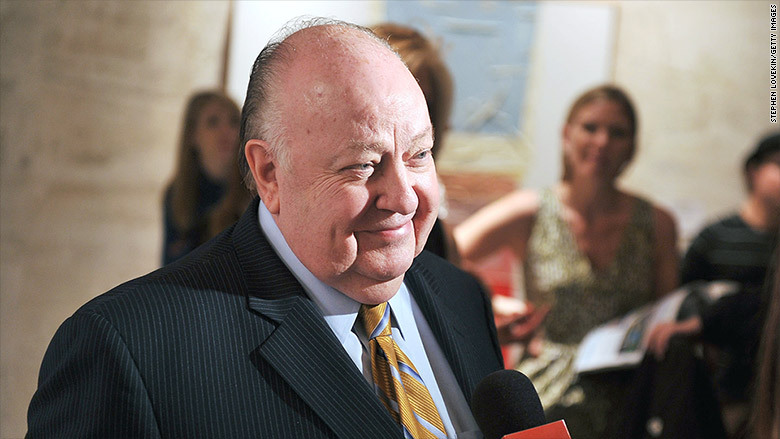 But in the past, Ailes has told associates that he won't report to anyone but Rupert, according to a former colleague of Ailes. And his contract is coming due soon. So with the sons in charge, will Ailes stay? The question is being asked because the Fox News boss -- by his own account -- doesn't really know Murdoch's sons. News stories have described past power struggles between Ailes, 75, and the sons, particularly Lachlan, 43. "He has no relationship at best and a bad relationship at worst," a longtime Ailes confidant said on condition of anonymity. That's why there is so much corporate intrigue about the reporting structure. Last Thursday CNBC broke the news that the elder Murdoch was preparing to hand over the CEO reins to his son James. 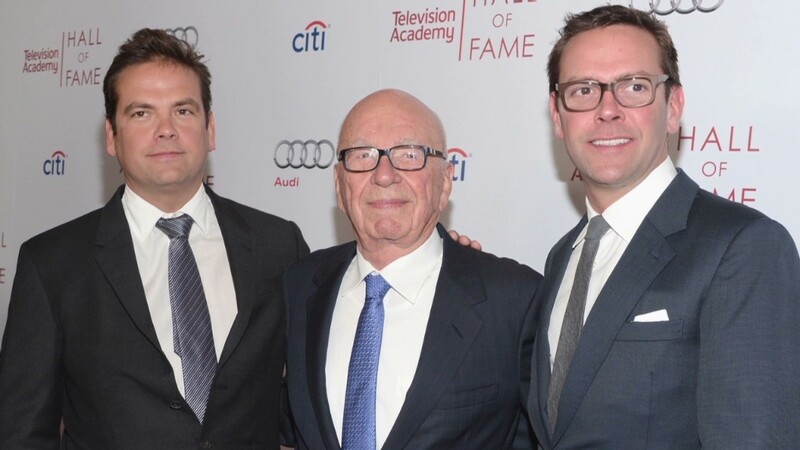 In the new arrangement, Rupert Murdoch and his other son Lachlan will be co-executive chairmen, creating a triumvirate at the top of 21st Century Fox. Executives at the company emphasize that the elder Murdoch will remain actively involved. But the biggest headline last week was about James becoming CEO. Within minutes of CNBC's report, the Ailes-run business channel Fox Business repeated the news, then added one new detail: Ailes would continue to report directly to Rupert, bypassing the sons. This was stated as fact by Fox Business anchor Stuart Varney. Even more remarkably, Ailes then stated on the record that "my job is to report to Rupert, and I expect that to continue." This happened in a brief interview with Variety reporter Brian Steinberg. Ailes is very careful about his interactions with the press; he could have declined to comment altogether. So was he sending a message to James and Lachlan? If so, the message reverberated far and wide. Many news outlets reported that Ailes was untouched by the succession plan. In my CNNMoney story, I said "there will be no change in Ailes' reporting structure," citing an anonymous executive "close to the elder Murdoch" as well as Ailes' own statement. The P.R. people for 21st Century Fox -- who represent the Murdochs, not Ailes -- had ample opportunity to deny it. But they declined to comment until after the Tuesday board meeting that made the CEO change official. Even after the board meeting, after the company said that all the top executives would start reporting to James and Lachlan, a Fox Business reporter said on the air that Ailes would only report to Rupert. Then something changed. In response to questions, the Murdochs' P.R. people said "Roger will report to Lachlan and James." The statement added that Ailes "will continue his unique and long standing relationship with Rupert." And this was reiterated by three people I contacted on Wednesday. But the main takeaway from the corporate statement was that there are no exceptions to the new rulers, not even for Ailes. Fox Business stopped mentioning Ailes. Ailes' spokeswoman declined to comment on Wednesday. Perhaps the tension between the sons and Ailes has been overstated by the press; perhaps Ailes will continue to quietly report directly to the elder Murdoch, and Tuesday's statement was just a formality. Fox's corporate structure is certainly "squishy," as one person put it on Wednesday. And there's widespread appreciation for the financial contribution Fox News makes to the company's bottom line. But the stories are pretty vivid about Ailes disparaging James as a "dope" and about Lachlan quitting his Fox job in 2005 after a dispute with Ailes. James' views, pointedly more liberal than his father's conservative positions, are anathema to Ailes, who's usually described as more conservative than Rupert Murdoch. James and Lachlan will formally take over on July 1. Then what? Reports vary on the exact expiration date of Ailes' contract. Some say it's as soon as early 2016; others say as late as summer 2016. The most specific report came in a Hollywood Reporter profile of Ailes that was based on an interview with him: it was published in April and said the contract comes due in 15 months, which would be July 2016, just a few months before the presidential election. In that same profile, when reporter Marisa Guthrie asked Ailes what will happen when the elder Murdoch retires, he said, "Nobody knows. Rupert says he's never going to." No one is characterizing this summer's leadership change as a retirement for Murdoch. But as his sons assert themselves as CEO and co-executive chairman, will they quickly move to renew Ailes' contract, worth tens of millions of dollars per year? Or will they consider appointing a new CEO for the first time in the cable news channel's 19-year history? Maybe that's the wrong question. Said the Ailes confidant: "It's about whether he makes the calculation that he wants to stay and work for them."